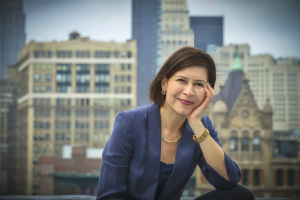 It’s my pleasure to welcome Julia Pimsleur to the podcast today. She’s celebrating the launch of her new book, "Million Dollar Women: The Essential Guide for Female Entrepreneurs Who Want to Go Big,” which was just published on October 6, 2015. Julia is a self-proclaimed extrovert, but as you’ll hear through our conversation, she has wisdom that’s valuable to introverts when it comes to building a successful business and “going big” on your own terms, according to your own definition of “big.” And for the men listening to this, you’ll find her advice valuable, too! Julia Pimsleur is the CEO and Founder of Little Pim, the leading system for introducing young children to a second language.